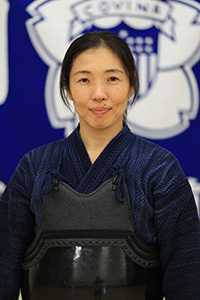 Special technique/waza: "Perhaps Kote waza is my best, and I like Men waza." Favorite words for kendo / Important advice for Kenshi members: 一心 (Isshin); To concentrate the mind on one thing. Special technique/waza: "Men waza is my favorite." 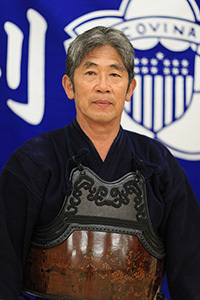 Favorite words for kendo / Important advice for Kenshi members:礼儀 (Reigi); Courtesy / 剣道は、礼に始まり、礼に終わる。(Kendo wa, rei ni hajimari, rei ni owaru. ); "Kendo begins and ends with rei." Special technique/waza: "Keep it secret." 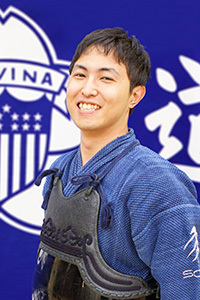 Favorite words for kendo / Important advice for Kenshi members:"Do your best." 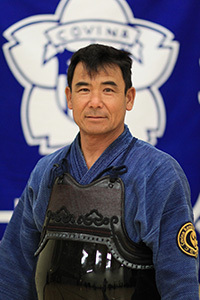 Special technique/waza: "It was Men waza, and now is Kote waza." 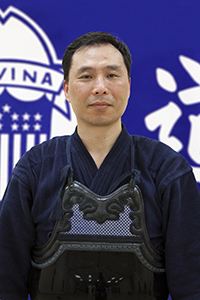 Favorite words for kendo / Important advice for Kenshi members:Continue / "Keiko (稽古; Practice) is important." When started kendo: Started when I was in college, in 1998. Special technique/waza: I don’t really have one, but I use men waza the most. 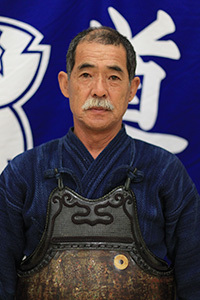 Favorite words for kendo / Important advice for Kenshi members: “Ko Ken Chi Ai”. It has the meaning of “friendship through the exchange of swords”. In order to elevate your kendo, it’s important to develop friendships wherever you go. It lets you develop a connection, especially with other people from other places, and lets you get to know their kendo. This is very important because it always takes at least 2 people to have keiko. When a group can work together and have a good practice, it lets everyone raise their technique. 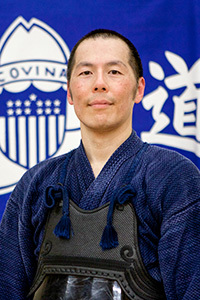 When started kendo: Started at 6 in Covina Kendo Dojo. When started kendo: Started at 21 in Beijing, China. 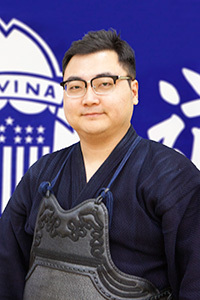 Special technique/waza: "Men Kaeshi Dou (面返し胴)"
Favorite words for kendo / Important advice for Kenshi members:"吃得苦中苦 方成人上人 (chih dé kǔ jhong kǔ, fang chan rén shàng rén); "To succeed the best, you must work through the hardest training." Special technique/waza: "I have no real special technique to speak of, I’m just attempting special application of techniques that we already know." 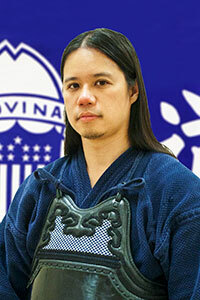 Favorite words for kendo / Important advice for Kenshi members:"Everybody can teach us something. 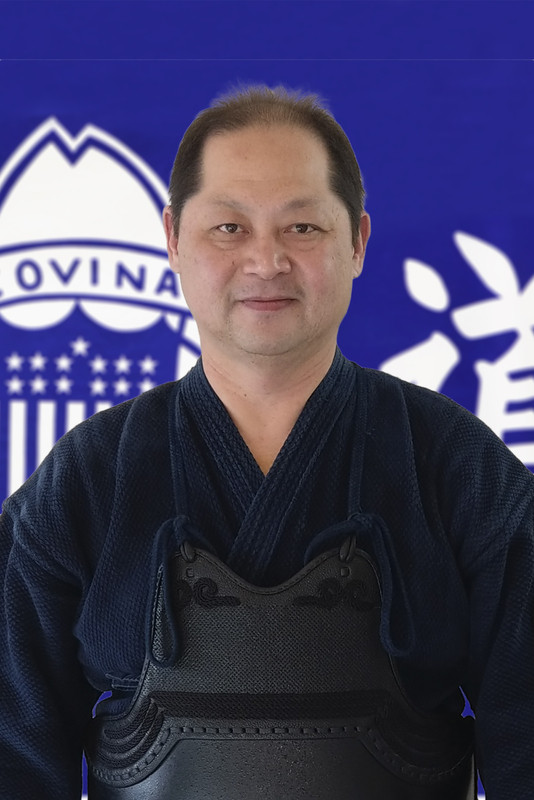 Our senseis and senpais can help elevate and refine our kendo, but don’t overlook the things that can be learned from our peers and beginners. A different perspective transcends rank." Special technique/waza: "Don't really have one. Throw everything I know at opponent and see what sticked :-)"
Favorite words for kendo / Important advice for Kenshi members:"残心 / 正心正剣. Learn how to put aside the fear of getting hit first so you can focus on making that perfect strike."